It sounds all well and good, a wonderful idea for folks who have an established routine or are not easily distracted. Not so for many of us. Not so for me. I need a schedule. I need specific hours set aside to do this homeschooling gig. I need specific helps to notice the clock and tell me to stop doing my thing and get ready for the main event. When I say I need a schedule, I’m not saying I need a regimented, 15-minute increment defined schedule. I don’t need something that tells me to do math from 10-10:30 and Latin from 1-2. Our problem isn’t accomplishing the tasks that I have identified for the day. Our problem is getting started. Our problem is mission creep. Our problem is sloth or lethargy or inertia. It is so easy to keep sitting reading my book and drinking my coffee until the eruption of an argument because the children were playing nicely but aren’t anymore. It’s so easy to surf Facebook and have contact with grownups instead of children. It’s so easy to write a blog post, visit with friends via Voxer, or myriad other not-school things that distract and fill time. It’s rarely cleaning or laundry that keep me from my educational responsibilities. Shocking. 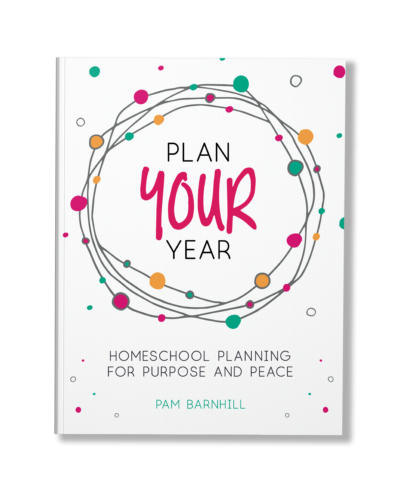 So, while I don’t need a minute-by-minute accounting of my day, I do need some big blocks of time that are set apart for homeschooling. I need some start and stop times because while an object at rest tends to stay at rest, an object in motion tends to stay in motion and once I get going, I can keep going, you know? My solution to this has been to set specific hours for our school day. Ours are 8:30-10:00 with a break until 10:30, then we go until 2:00 with lunch fit in at some point or another. 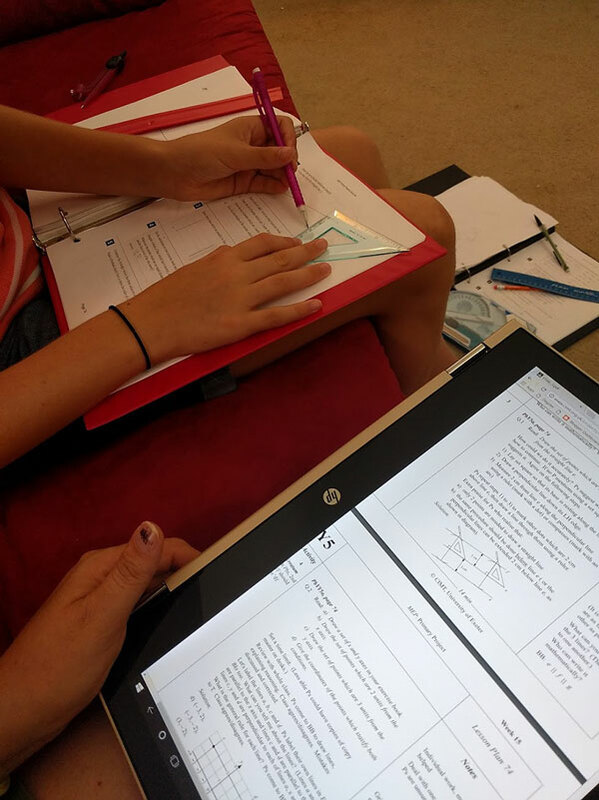 Having big blocks of set-apart time allows my kids to know that I’m serious about doing lessons, they have my full attention during that time and that I prioritize them. They see that I prioritize learning. In order to keep me in gear, I utilize my biggest time waster to my advantage. I set alarms on my phone to keep the day moving as it ought. 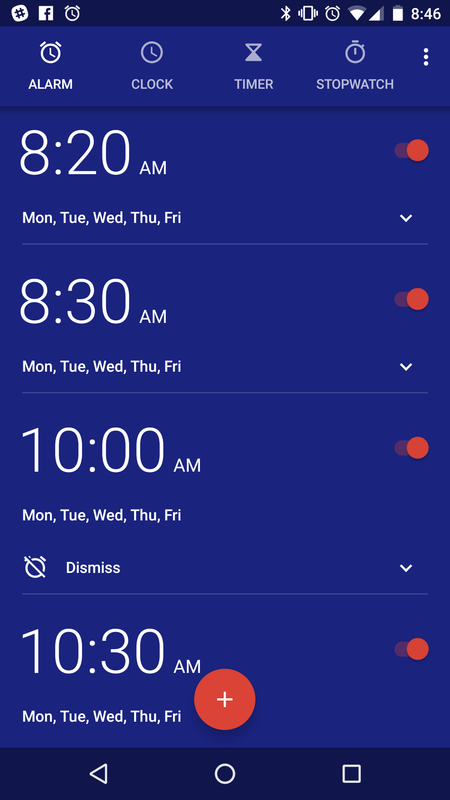 My first alarm is at 8:20 am, this is a 10-minute warning that we need to wrap up whatever we’re doing and get our minds set toward school. At 8:30 am, school starts as the next timer rings. 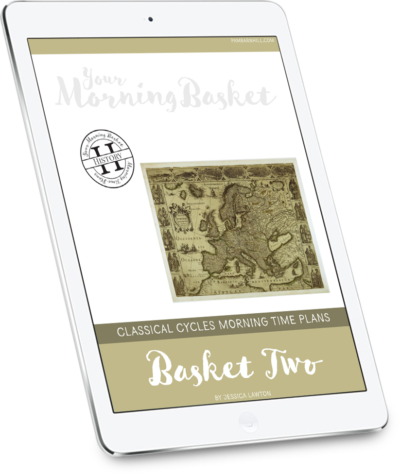 We start Whatchamacallit with the Doxology and work through our list – as far as we can – until the next alarm at 10:00. The children run and beg for a snack and play. They have half an hour for this. 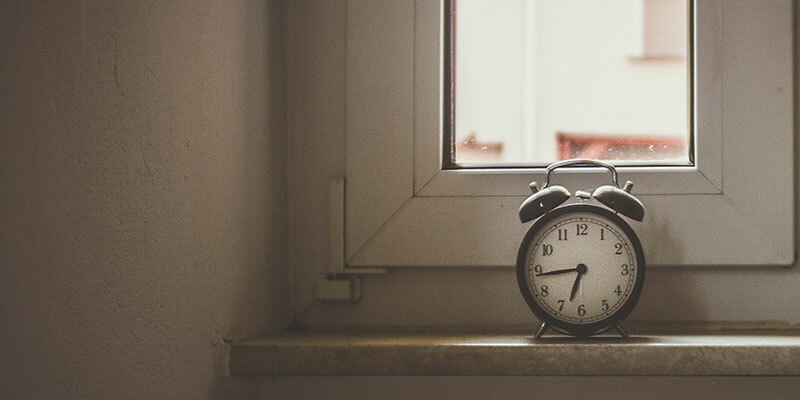 They know if they don’t come back at the next alarm, they don’t get a break tomorrow – because that consequence has happened to them. At 10:30, they come back for their independent work. I’m available for help, narrations, direction, or instruction. I stay in the room they’re in. I don’t go off to swap or fold laundry, empty the dishwasher or clean the kitchen. I’m theirs. I may have my own book while I await their need, but I can stop when they need. I can redirect when a little focus is needed. They are the priority. The children have a list of work that needs to be done by 2:00. They work through their lists, stopping for lunch at some point or another. They often continue reading or calculating while they eat lunch. My school day ends at 2:00 pm with a final timer. To give the children a sense of urgency, my husband and I have instituted a, perhaps unusual, rule. Any school work not completed by that deadline is due to Daddy when he gets home. They never want to give him narrations or math worksheets, so they’re incented to finish in a timely manner without a lot of prodding on my part. The hardest part of this is me holding fast and hard to that time and granting almost no exceptions. If this is the just way we do it, it becomes less of a fight. 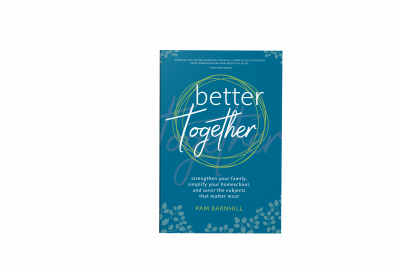 This has helped them to be more diligent in accomplishing their lessons – although we’re far from perfect as this is a very new consequence, we are improving. 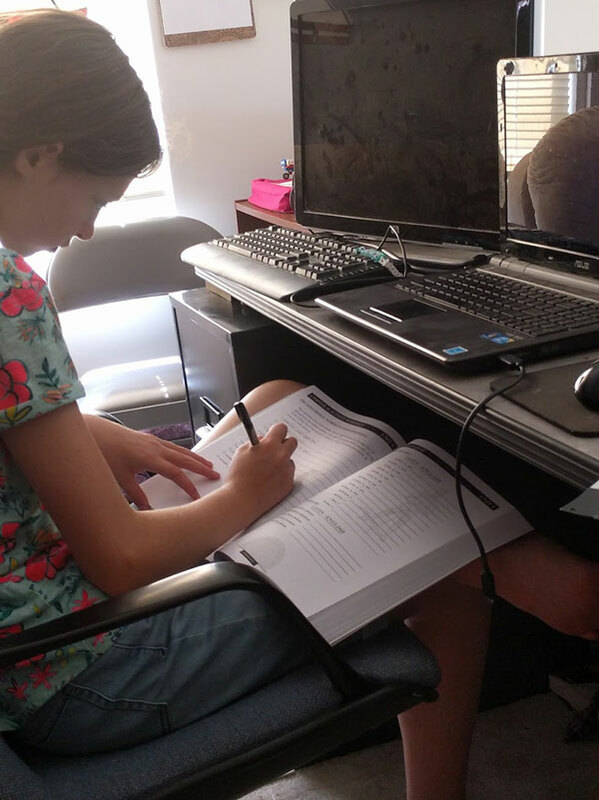 Our routine has been very helpful in continually moving forward in our homeschooling. Our routine wouldn’t happen, though, without our schedule. 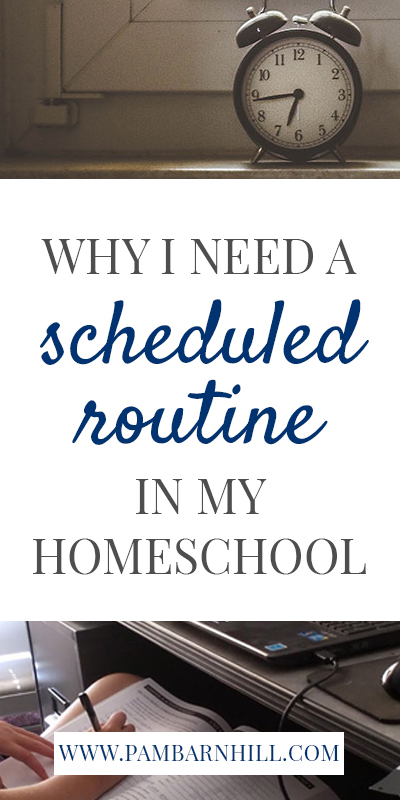 I need a scheduled routine to succeed at this homeschool gig, what about you? Dawn Garrett loves learning with her three children at home. Following the principles of Charlotte Mason, she and her children learn about God and His cosmos by studying the seven liberal arts in order to know Him better, imitate Him and His ways, and share about Him with others.Dawn is one of the curators of the popular @charlottemasonirl community on Instagram, blogs at ladydusk, and acts as Community Manager for pambarnhill.com. She is the author of I Am, I Can, I Ought, I Will: Charlotte Mason's Motto Explained for Upper Elementary Students which can be found free on her blog. I haven’t really thought of having a time schedule like this that is independent of particular subjects, but I think I like it. Thanks for sharing! I’ll have to be thinking on what I want to do with this. I love the idea of setting a timer as a reminder to get started in 10 mins. And more timed cues for the next items in the schedule. This is a marvellous idea and one I’m going to implement. Thank you! Dawn, this is so helpful!! We have a start timer, but never thought of doing an end of day timer. I will be adding this to our day along with the “Any school work not completed by that deadline is due to Daddy when he gets home.” My son doesn’t like doing work with Daddy either. Great idea. I’m not a detailed time person so I teens to reject the word schedule a bit. But… This could work better than last year with our daily efficiency. I’m so not a schedule-y person – but I need accountability for consistency. This helps a lot. Dawn, thank you for writing this up and sharing it with us. It is very helpful! Just curious, do your kids have daily chores they need to complete? If so, do they do those before school or after school? They do have some chores to do, although I’m not great at sticking to that schedule. We get up at 7 to pray with Daddy before he leaves for work, so there’s 1.5 hourse before school starts to do some chores and get some breakfast – even enough time to take a walk with the dog. This is really helpful! I know what subjects I want to cover this year for my kids, but I just never know how to “schedule” it into a routine to be able to fit it all in. I think I’ll try some of your suggested time frames. I’m not sure who it was that suggested it, but we play a fun song to get our day started. My son knows that he needs to ready to go with his morning time binder and Bible work out by the time the song is done. Last year, we used Mandisa’s “Good Morning”. This year we’re using Citizen Way’s “Bulletproof”. You can’t not dance and smile as you get ready to start! Great idea! I have a 4th grader, K, and PreK3. I’ve been trying to figure out how to fit in a little bit of our “Making Music Praying Twice” program. I think when we’re ready to start our school day, I’ll get out the instruments, play the music, and everyone can gather for a few songs before we settle down to our morning prayer and lessons. We use a song for the ‘morning call’ too. Last year I played ‘This Day God gives me’ by L’Angelus. Except in December it was ‘Come all ye Faithful’ ? I might mix it up with one of yours this year! We dance to The Magic School Bus theme song before school every day. My kids were a little sad to not rid the bus so this was our solution! Thanks for this wise and practical post! Thanks for sharing your techniques! 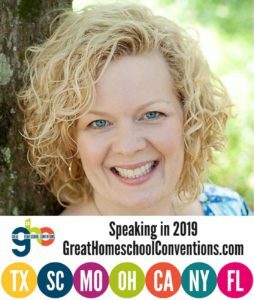 It gives me a lot to think about–I like your practice of being present for your children’s independent work, that you aren’t busy with your own “chores,” but instead are ready to help them if they should need it. Great idea/concept/resolution. It’s something that I need to do for my own kids. Be present for them, rather than distracted with laundry/dishes/bills/etc. Yes! 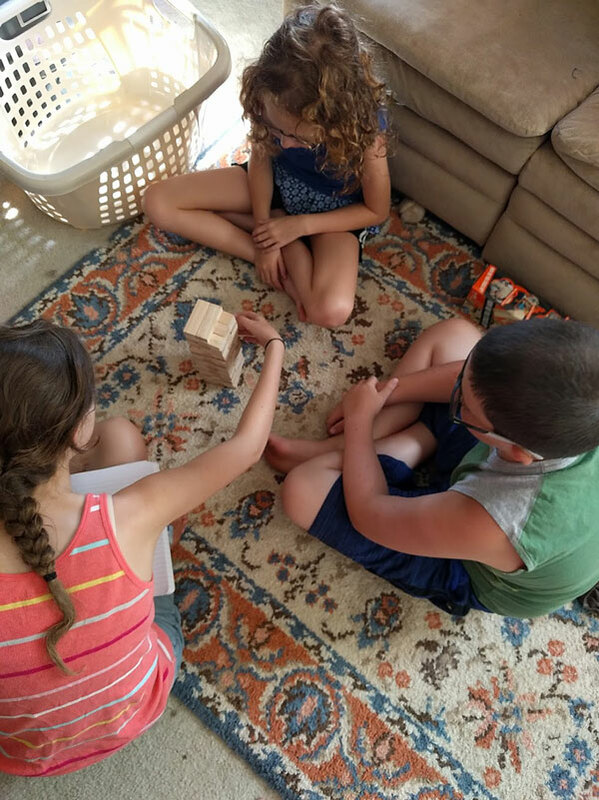 Getting started is the hardest part for me- just as you said- I get too comfortable with my own quiet morning time and coffee… And oh the kids are playing so well…? And I stay ‘at rest’ until chaos ensues. THEN decide we better start lessons. I love this. Love love it. I am a big picture person and if I schedule myself too much I freak out and don’t follow it. I know I need the structure but I struggle to stick to it. I have not thought of this before, but I wished I would’ve a few years ago! lol Not only does it hold mom accountable (and sometimes that’s my biggest hurdle) it becomes automatic for the kids. No reason to argue with it, b/c it just is. I really like this! Thanks for sharing! I love this – thank you! I would’ve thought you were following me around and describing my day! Really like the timer idea and blocks of time. Will be trying this out for our first term! I can so relate to this. Thank you for a timely article. I love this way that you are prioritizing kids and their learning. I find it too easy to just slide it in when I can. Love, love, love this idea. Thank you so much for sharing! My son is mostly working at home by himself so we needed a way to hold him accountable. He chose a fairly traditional school schedule broken up into hour long periods, with a break for baseball workout and lunch in the middle. He can switch up his subjects in whatever order he wants but each subject gets a period (math gets two). This year it’s a little more regimented because he has two outside classes but we’ve talked about it and he really prefers this structure. Most days it keeps him motivated and on track, even if no one is looking over his shoulder. Thank you so much for this post! I must admit I was sort of rolling my eyes when I read the title thinking “yeah right..like that could ever happen in our home.” But I can see how it totally can like you have, dividing it into big blocks rather than 15-30 minute increments. Now I’m letting out a big sigh of relief as I feel we can definitely get a better grasp of our time and actually get “school” done! Thank You! This is a great post. I struggle with this a lot, and my kids are quick to capitalize on Mom’s distractibility, or play the vanishing game when one kid has my full attention. We have a baby now, so this is REALLY a factor in a new and momentum-killing way. My husband just started a new job that takes him out of the house more (he worked from home before), so I’m really trying to structure our school days around his work schedule. I think this is something we can do! Thanks for sharing! I’ve recently begun a very similar type of schedule; block scheduling. I’ve been a “routine, not schedule” person but it just allowed me to indulge in my own agenda, which I’d fill with all things not-school. My youngest has severe learning disability and although we’ve been at this 16 years, there were still regular battles. I would then avoid school, which definitely led to guilt. This just wasn’t worth it. Now we have specific time to work and I make it manageable lengths of time so that neither of us gets too frustrated. It’s making a huge different. I really appreciate your post. Hi Dawn, I was wondering what kind of independent work they do? 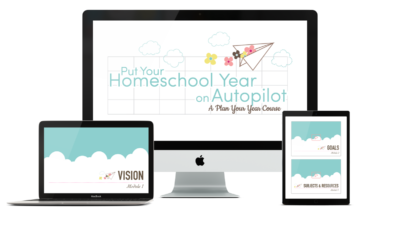 I’m kind of struggling to put my homeschool together and this post is a huge help so thanks for that! They read and narrate – oral to me and written; copywork/penmanship; math (and come to me for help); Latin. They did the Memoria Press Geography workbooks (but have finished those), they also have done typing practice and xtramath.